Look at the power of Christ. Immediate. A twelve year search for healing ended in an instant. Over a decade of suffering vanquished immediately. That's how our God works. It doesn't matter how long you have been struggling. 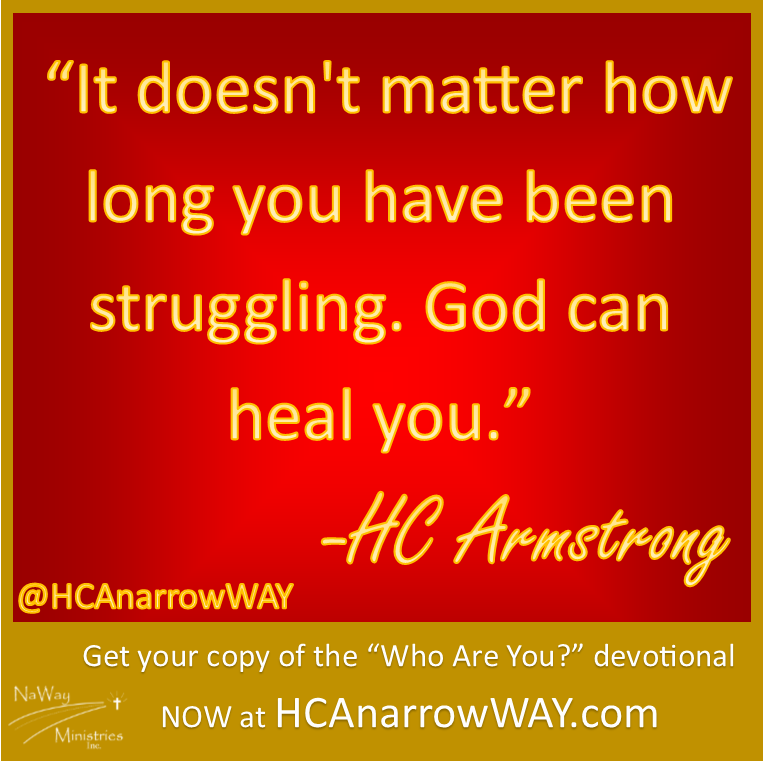 God can heal you. It does not matter how long you have been trying to do it your way. Jesus Christ can heal your wounds. Christ can save you in an instant. He can heal you immediately. The moment we accept Christ He saves us and makes us new. He gives us power over everything that keeps us down. All you have to do is trust Him. For those who already know Christ it may be time to experience Christ on a deeper level. Don't miss out on God's best. Get the healing you need. Your suffering is for a purpose. Find out what it is.